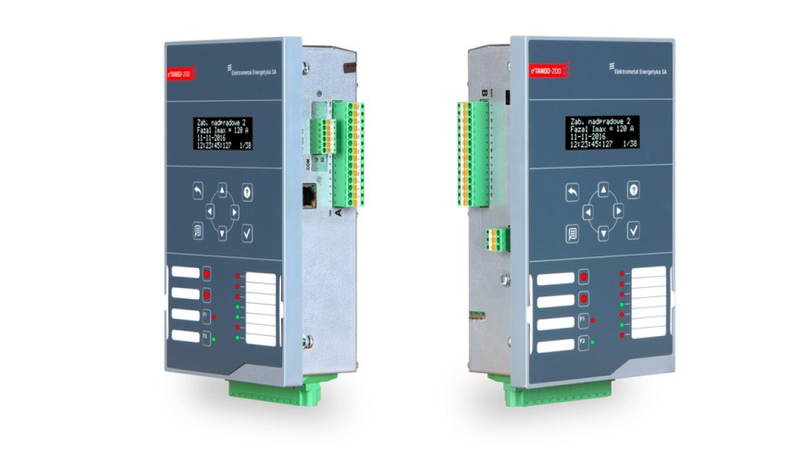 e²TANGO®-200 protection relays feature a complete set of protection functions and station automation schemes making them ideal for any type of bay irrespective of its application and operational characteristics: such as incoming bay, line incoming-outgoing bay, transformer bay, measuring bay, coupling bay, capacitor bank bay for MV grids. e²TANGO®-200 overcurrent relays are also capable of autonomous operation. e²TANGO®-200 overcurrent relay has an alphanumeric OLED display (4x20 characters) and a keyboard with 8 buttons for easy operation. There are 7 LEDs (4 red and 3 red-green) on the front panel providing visual indication of device statuses. There are also two additional function buttons F1 and F2 with dedicated two-colour LEDs which may be customised. Above the function buttons there are two red LEDs or optionally two electromechanical indicators providing indication even in case of power supply failure. A label pocket is provided on front panel for function button and LED/indicator labels. 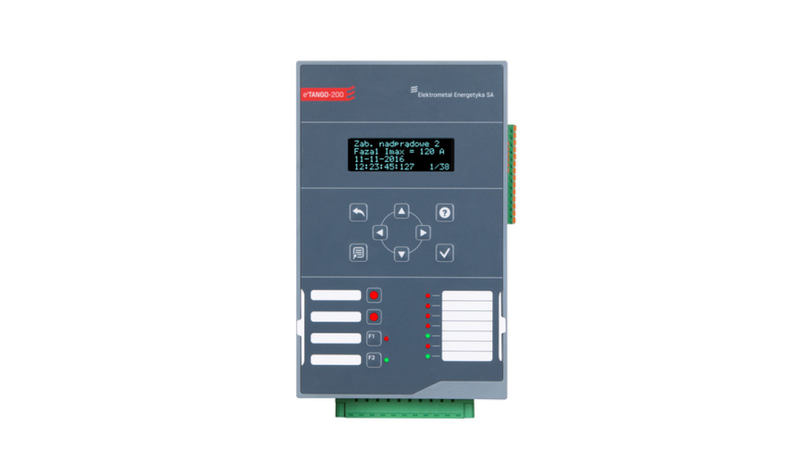 e²TANGO®-Studio engineering software allows operation of e²TANGO®-200 protection relay and also panel configuration. This software provides comprehensive functionality, which together with visual widget configuration is a perfect aid in daily work by enabling creation of projects for multiple devices, bays, switchgears or stations.